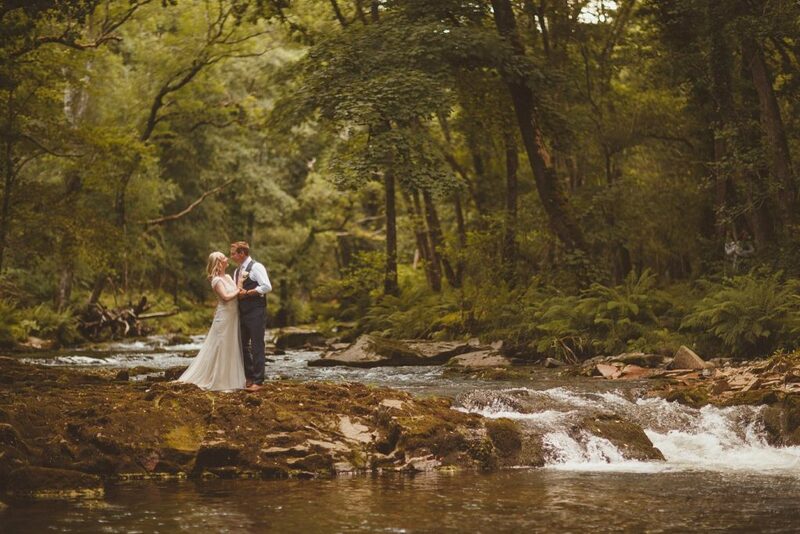 Dreaming of a romantic woodland wedding with photos to match? 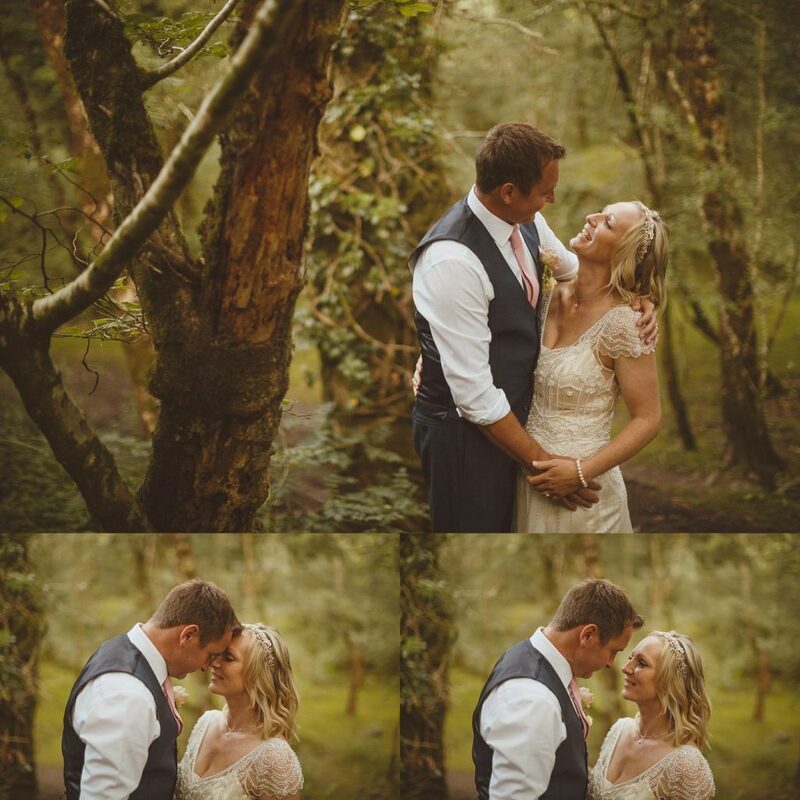 Looking back on our woodland wedding photos, I’m loving how doing these mini features means we can show you loads more photos than we can squish on our real weddings pages. Each of our couples gets their own real weddings page and we try to give a flavour of the whole wedding on that page but with only 25 pics to do that – sometimes we can only give a peek into some amazing moments. 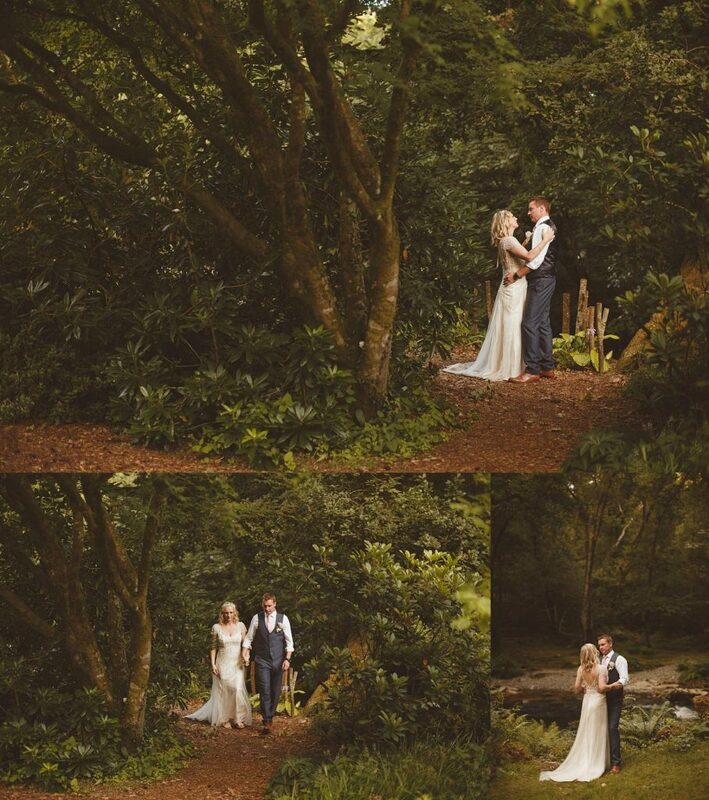 Just focusing on the woodland part for one wedding = loads more pics! Yay! Kari always knew she wanted photos in the woods. She knew she needed a great photographer to get exactly what she wanted and when she managed to book Ed Peers, she emailed me and said she squealed with delight when she got confirmation from Ed that he was available for her wedding date. When you see these photos, you’ll totally get why she was soooo excited. 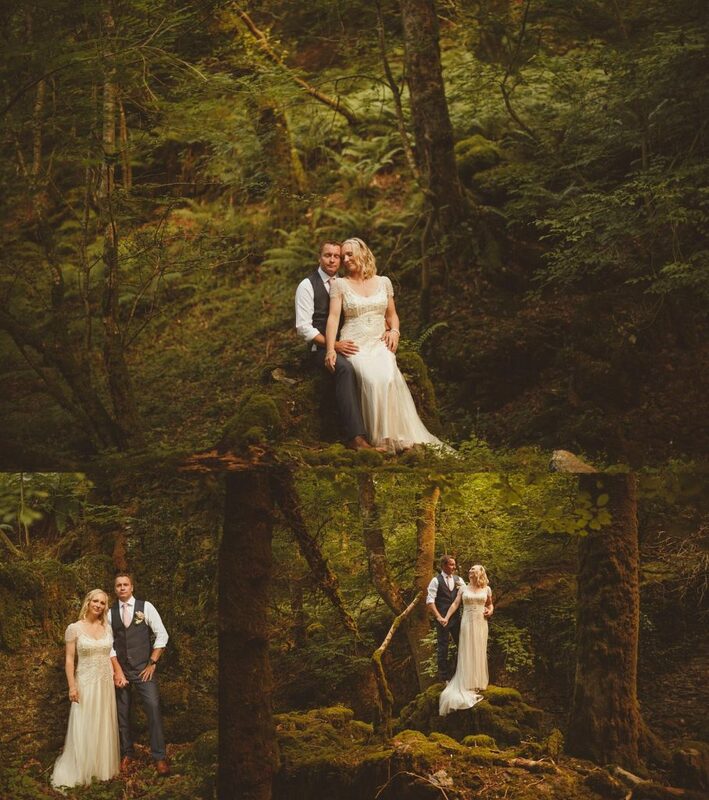 Kari scheduled in time to go into the woods to get the couple shots with Ian. We were totally on board so the lovely S was on hand to give Ed tips on the best places in the woods. He took him in for a reccee and then when the time was right, Kari & Ian hopped on the quad and Ed rode shotgun on the front! Depending on the level of the water and how intrepid our couples are feeling(!) going onto the bank at this spot can get you some amazing shots. Kari wore flat sandals for the ceremony and as the weather was lovely on the day she didn’t need to change into wellies (sometimes wood wellies are an essential bit of wedding day kit). 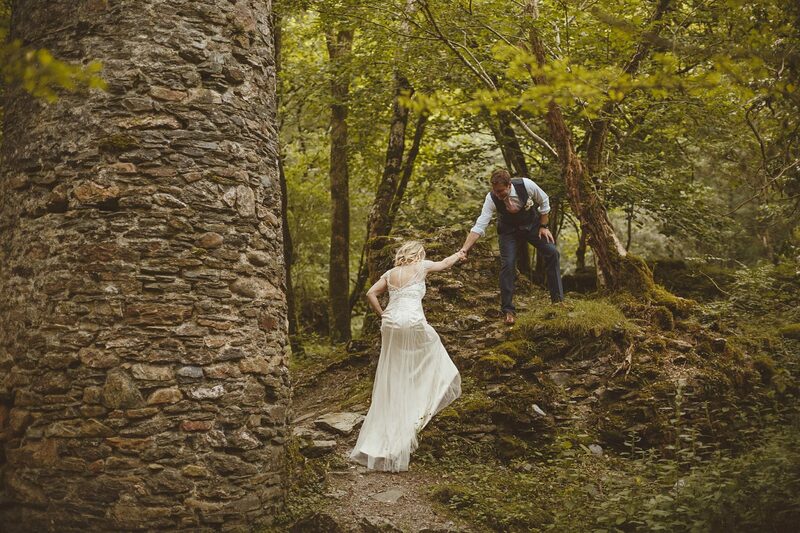 These pics of Ian leading Kari carefully over the rocks is so romantic dontcha think? And ta da, they arrive! Of course you need an intrepid photographer who’s prepared to clamber about and Ed is your man for that. He could see exactly what these would look like and he really nailed these shots for Kari & Ian. Kari told me she wanted some photos that looked more like fine art portraits and Ed totally aced that instruction. 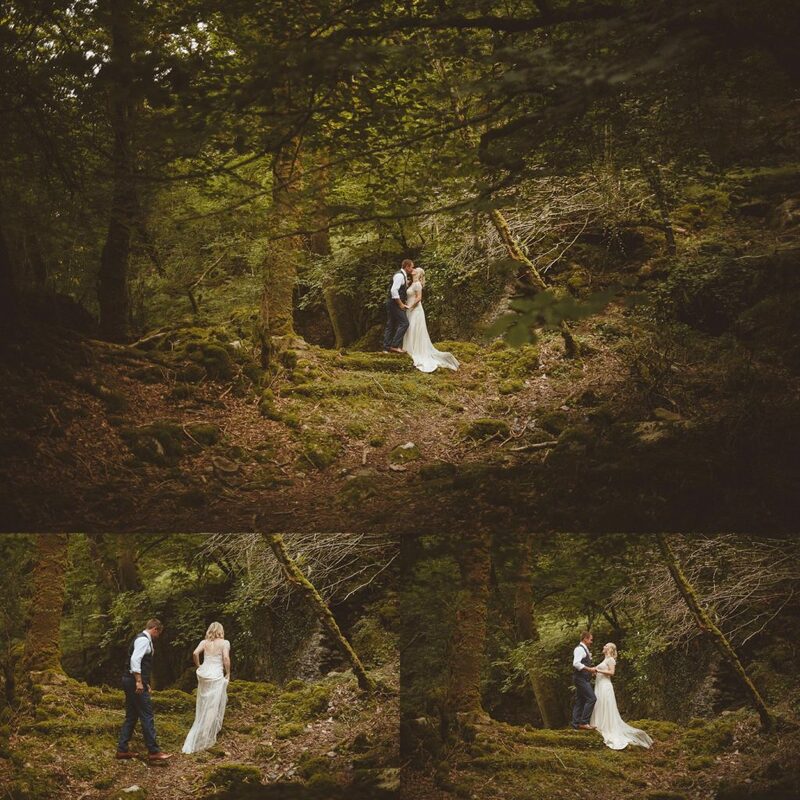 Then deeper into the woods to be cocooned in the woodland and taking time to have some precious moments together that you’ll treasure forever. 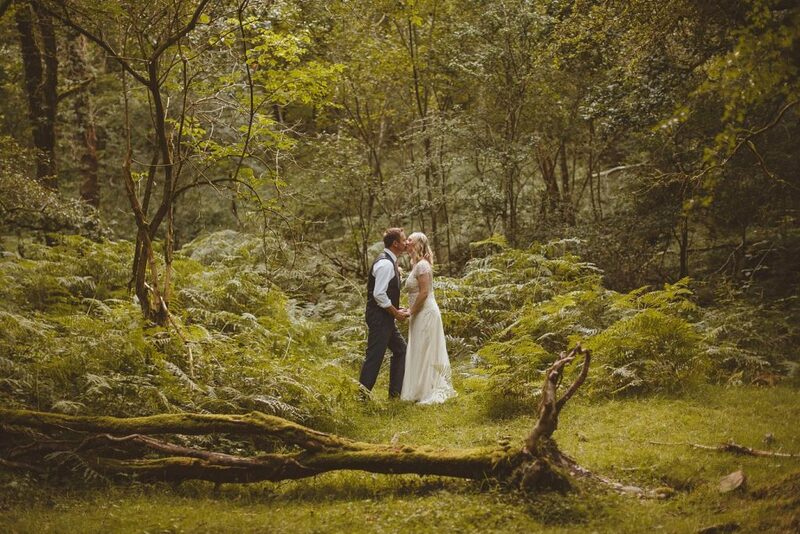 If you’d like to check availability for your woodland wedding, you can email directly at nicola@lowergrenofen.co.uk I’d love to see if we’ve got a date to suit you.